The Villa tree guard is used to prevent damage from mowers, weed trimmers and rodents, and is made from a durable high density and lightweight polyethylene material with ultraviolet inhibitors. 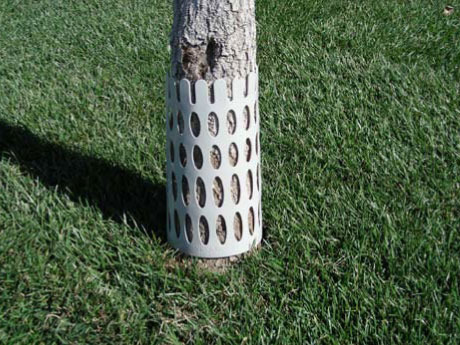 The tree guard has perforated vents for proper ventilation to the tree trunk plus the tree guard is designed to expand with the tree trunk as it grows. Larger trees can be protected by joining multiple guards together.